There are times when the items that need to be put into a trolley for cash out are far too unwieldy or varied to fit into an enclosed basket. 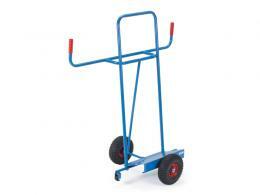 This is when using one of the wholesale shopping trolleys in our assortment is a bonus. 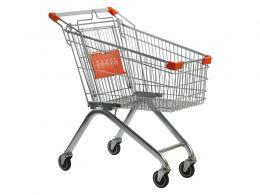 If your products are larger than FMCGs, then you may want to browse our cash and carry trolleys, ideal for garden centres or DIY retailers. 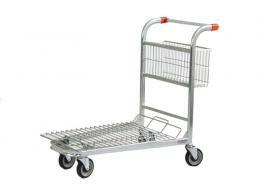 Open and generous in its design, our wholesale and supermarket trolleys come in several different sizes, styles and configurations that make transport of a variety of goods through aisles, around corners and into storage (if needed) quick and easy. They move comfortably and take very little effort to push, which means the strain of lifting and manoeuvring large items at once is gone. 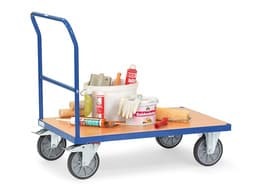 Both the supermarket and cash & carry trolleys take out the risk of injury to both employees and customers with the different ways it secures as well as moves products. They are very sturdy and can hold large numbers of items without putting the goods at risk, allowing you to feel confident that whatever you are moving will stay intact and safe during transport. Big box stores, home improvement centres and warehouses all have aisles that need to be navigated strategically. The wholesale shopping trolleys turn corners very well and make it easy to push items around, down and through a variety of corridors and maze-like twists and turns of these locations without any trouble. 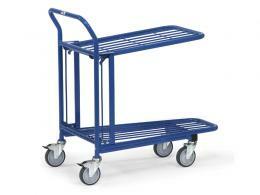 The unique design of our cash and carry trolleys also make these a wonderful addition to lumberyards, because we provide several styles that are great for loading up different lengths of wood and materials needed for building. 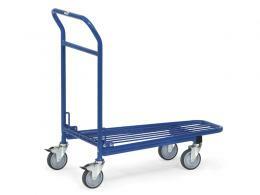 Construction sites as well benefit from the vast assortment available in this category and the durable nature of the flatbed warehouse trolleys makes them a good fit in environments that can get rather harsh and take a beating. 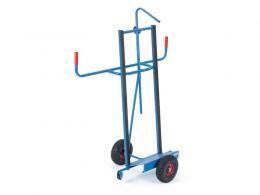 From our nesting cash and carry trolley with an open flat carry in front and small basket on its handle to our straightforward and durable sheet material dolly that can be outfitted to manoeuvre awkward and bulky items with ease and beyond, you’ll discover a wholesale shopping trolley that will work for you. We offer various warranties on these products, so please browse our selection and let us help you find that perfect fit.